Feb. 5, 2018, 10:27 a.m.
By Ricardo Bilton @rbilton Feb. 5, 2018, 10:27 a.m. If there was ever a company ideally poised to take advantage of the digital publishing industry’s recent widespread embrace of reader revenue, it’s Piano. Piano supplies backend paywall, audience segmentation, and customer relationship management tech to over 1,300 media companies, including NBC, Bloomberg, and a large number of newspapers. Increasingly, though, it’s turned its attention to its client services operations, which is built around helping news organizations build more successful customer marketing strategies — expertise they often lack in-house. I spoke to Kaufman about how the industry’s relationship with subscriber revenue has evolved, the silver lining of Facebook’s News Feed revamp, and why more newsrooms are finally embracing the paywall. Our conversation has been edited for concision and clarity. Ricardo Bilton: What overall trends are you paying attention in the industry right now? It seems like there has been increasing sophistication with how companies are embracing these consumer marketing questions. Trevor Kaufman: As with all businesses, there’s a real evolution curve that individual organizations get on as they transform their business. And the irony is that the newspaper industry is relatively more advanced than the magazine and broadcast businesses in this arena. That’s because they were forced earlier to understand loyalty and how to create value for subscribers. So we see more sophistication there. Bilton: Are you seeing any pronounced differences in approach between legacy organizations and the digital-native ones? Kaufman: I don’t think that the presence of a printed newspaper or magazine or television channel necessarily makes an organization more or less innovative. I’m not sure that I can say that the digital natives are speeding ahead. I think it completely depends on the organization. Bilton: What about internationally? You have a big footprint in Europe. Are there notable differences there, where there are some different market dynamics? Kaufman: I think the big difference in Europe is that the print products are more successful. In Europe, the print decline is smaller, and so we see greater urgency in the U.S. with the embrace of some of these models. That said, we’re seeing a lot of shifts away from the hybrid print-and-digital business model of the last 10 years to more places developing new digital-only products. Bilton: Is Facebook’s decision to decrease the amount of content from news companies in the News Feed good for your business? Kaufman: It’s great, but it’s not the only thing that’s helped our cause. Every year, there are new costs that get added to the adtech economy that media companies rely on. First came viewability, then came ad blocking, then it was ad fraud. Clearly, the concentration of the duopoly has also been a factor. And just in the last year, we had very significant moves like what Apple did with Safari and third-party cookies. The Facebook feed changes are very significant. And so is General Data Protection Regulation in Europe. So what we see is a return to first-party data being vital and a return to thinking about readers as customers. They’re no longer cattle who are being monetized en masse, but rather people who we’re trying to appeal to and influence their behavior. That, again, has always been the business of media and marketing. I think it’s great to have a return to that. Bilton: One thing that you’re definitely seeing more of is publishers talking about Facebook as a marketing channel, not as a place to build the core of their businesses on. Vox Media CEO Jim Bankoff said in a recent memo that the News Feed is “an important promotional platform for programmers upon which to be discovered,” but that Vox is no longer thinking of it as a programming platform. Jonah Peretti at BuzzFeed has also expressed some disappointment with the way things have gone with Facebook. What do you make of all that? Kaufman: In effect, wild success in social distribution is a hacking exercise. It’s an attempt to take advantage of a given phenomenon. Just like with Zynga, publishers are realizing that there’s no way to build a longterm strategy counting on social distribution. Bilton: Where do you see things going this year? What do you expect to see more of? Kaufman: I think there’s going to be a lot more innovation from publishers when it comes to new product development. I think that what you’re going to see is more publishers developing products that for the first time don’t look exactly like the newspaper or the magazine. Bilton: Are paywall and reader revenue conversations getting easier now? Kaufman: Definitely. When we were talking to people about charging for content or charging for stuff related to content three years ago, everyone in the newsrooms freaked out. They were saying, “I want everyone to be able to read my stuff.” But now there is this prevailing attitude that if we start changing for stuff, all of sudden people are going to get to write longform pieces again. We’ve won over the newsrooms in that regard. I would honestly say it wasn’t fun to run this business three years ago when we were shouting into the wind on these issues. I think we get a much better reception now. Bilton: The industry was definitely at the peak of its romance with Facebook three years ago, which might explain that. Kaufman: Absolutely. The promise of Facebook growth is that, if get your strategy just right, you can get big scale and make money off a relatively small cost base. That was very appealing in publishing for a while. But there is no media business without a relationship with the consumer. I say this often, but there’s never been a successful business that was afraid to talk to its customers. And that’s where we’ve been in media for so long. You’re afraid of saying anything to readers for fear you will slow them down in their clicking journey. Now there’s more of a relationship directly between the editorial brand and the reader. And that’s going to be great for everybody. Bilton: One emotion that you’ve seen people express since the Facebook news is relief. Not many people were happy about being so reliant on Facebook, so there’s a real sense of comfort that the Facebook growth era is tapering off. Kaufman: And it won’t be the last big change along these lines. The reality is that third-party cookies and ad tracking are largely going to go away. They’re going to go away because of what the European regulators are doing and because of what Apple is doing. And when those things happen, they’re going to cement the relationship between publishers and advertisers. And brands and publishers will not have quite as many intermediaries between them. And that’s gotta be great too. We’ve been talking a lot about all of the negative things that have been happening on the advertising and social distribution side. But on the other side, there’s a real flight to quality going on, where people are demonstrating that they need both quality of information and quality of entertainment. There’s also this crazy myth that millennials won’t pay for things, but the reality is that it’s boomers who won’t pay. Millennials are used to an à la carte world and are much more willing to pay for stuff. Overall, there’s a great rebalancing that’s happening right now. 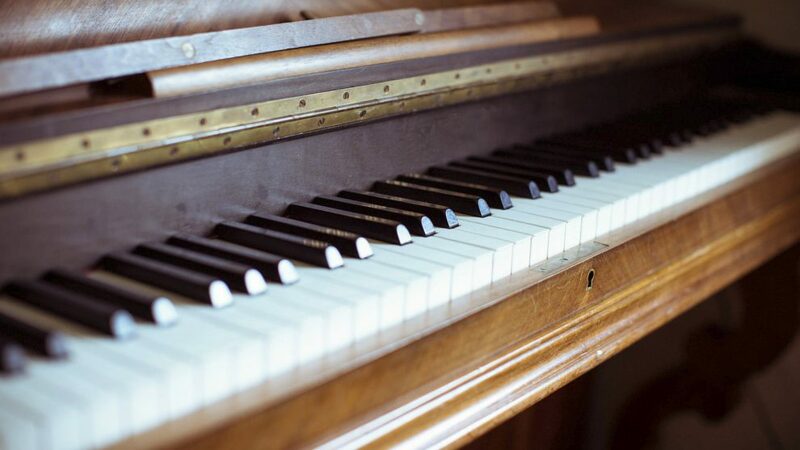 Photo of a piano by ky0ncheng used under a Creative Commons license. POSTED Feb. 5, 2018, 10:27 a.m.
Bilton, Ricardo. "“We get a much better reception now”: Piano says more news orgs are embracing paywalls, reader revenue, and consumer marketing." Nieman Journalism Lab. Nieman Foundation for Journalism at Harvard, 5 Feb. 2018. Web. 20 Apr. 2019. Bilton, Ricardo. "“We get a much better reception now”: Piano says more news orgs are embracing paywalls, reader revenue, and consumer marketing." Nieman Journalism Lab. Last modified February 5, 2018. Accessed April 20, 2019. https://www.niemanlab.org/2018/02/we-get-a-much-better-reception-now-piano-says-more-news-orgs-are-embracing-paywalls-reader-revenue-and-consumer-marketing/.